Venturini & Associates is a boutique law firm in New York City focused on achieving solutions to the critical problems of business and corporate clients. Attorney August C. Venturini has more than 25 years of experience serving clients from start-up entrepreneurs to multinational corporations in Manhattan and throughout the world. At Venturini & Associates, we help businesses and high net-worth individuals protect assets, manage commercial relationships and enforce contracts. Our results have earned us a fine reputation among our peers. Companies, executives and in-house counsel nationwide count on us to represent them when they have complex matters requiring sophisticated legal strategies and well-thought out solutions. Our services include providing general counsel for businesses that are too small to have their own in-house legal department. We believe the most effective way to manage litigation costs is to avoid litigation. 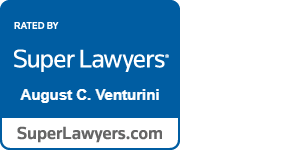 August C. Venturini, also selected as a 2018 NY Metro Super Lawyer, recognizes and addresses important issues before they become legal problems. Contact a business and estate planning attorney in New York City today. Call Venturini & Associates at 212-826-6800 or contact us online to schedule an appointment.